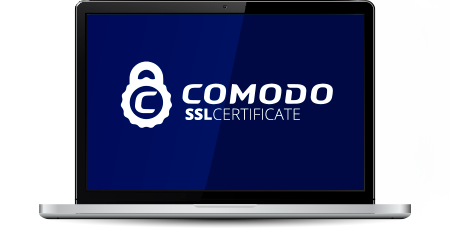 Comodo® EV SSL + SGC Certificates come with all the must-have customer conversion benefits of the "green address bar", but with added SGC (Server Gated Cryptography) technology. When you buy a Comodo® EV SSL + SGC Certificate you can be confident that your SSL Certificate will be trusted by all modern devices and web browsers. Great News! Your SSL Certificate will be issued by Comodo® using our fully automated fulfillment system. Comodo® are a leading SSL Certificate Authority. Our pricing structure for Comodo® EV SSL + SGC is well below the recommended retail price. Buy for multiple years and the cost of Comodo® EV SSL + SGC works out to be excellent value at its lowest price of only ¥0 per year. Our unlimited reissuance policy for Comodo® EV SSL + SGC means that we will reissue your Comodo® EV SSL + SGC Certificate free of charge for the life of the SSL Certificate validity, for any reason. Comodo® EV SSL + SGC can be installed easily on any server that supports the use of an SSL Certificate. Trustico® includes the added benefit of Unlimited Server Installation licences and a $1,750,000 warranty. Comodo® EV SSL + SGC SSL Certificates require the most thorough authentication process performed in order to be sure that any company certified is a legitimate operation. This aspect of the EV standard combine to create a strong defense against phishing scams. Typically it is expected that Comodo® EV SSL + SGC is delivered within 48 hours of receiving all of the required identity documentation. Generally we advise customers to allow up to 7 days to gather the required identity documentation, though, issuance can be achieved quickly if documentation is received promptly.